Walter J. Howell, Jr. , a native of Phillipsburg, NJ, and graduate of Phillipsburg High School in 1968, moved to Easton, PA in 1969. After working as a machinist, he became a police officer with the City of Easton Police Department in 1973. During his 30 year career in law enforcement, he served as a patrol officer, juvenile officer, detective, and court liaison officer. During that time, he earned his Associates Degree in Criminal Justice from Lehigh Community College and Bachelor’s Degree in Sociology/ Anthropology from East Stroudsburg University, retiring in 2003. During that time, he sought ways for the police to interact with community youth and became one of the founders of the the Easton Police Athletic League, serving for 19 years as President for 7 years and Vice President for 12 and continues to serve on the Board of Directors and Advisory Committee of the Cops ‘n’ Kids of Easton, a sponsored program of the organization. He became and continues to be an active member of the Easton Kiwanis Club, Lehigh Valley Crime Stoppers. 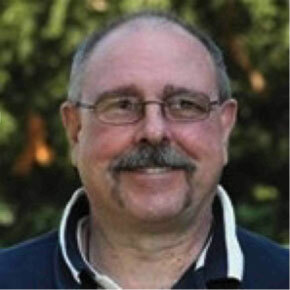 He was a Boy Scout troop leader and Police Advisor to Law Enforcement Explorers in the Minisink Trails Scouting Council, a camp guide and weekend guide for the blind and visually impaired, an active and dedicated member of Grace Lutheran Church in Phillipsburg, serving in numerous capacities. Since that time, Walt spends much of his waking hours volunteering and helping others who benefit from his breadth of knowledge, experience and big heart. 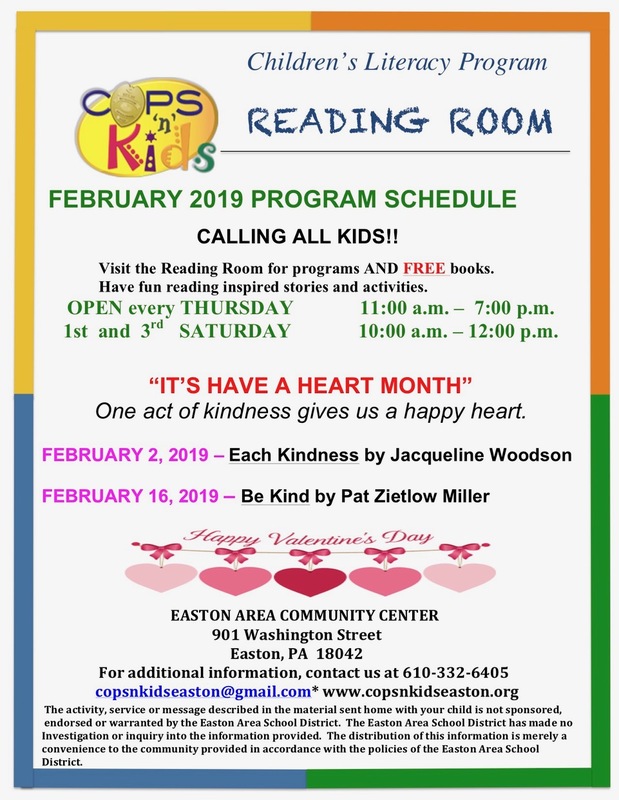 Cops ‘n’ Kids of Easton is one of the organizations that benefits from his enthusiasm and boundless energy interacting with the kids who visit the Reading Room, serving as coordinating liaison to the Easton Police Department and the Easton Area Police Athletic League, participating in community book distributions, organizing volunteers for labeling of donated books, and being a general community resource whenever the need calls for his engagement. The Cops ‘n’ Kids of Easton is indebted to Walt for his dedication and willingness to respond to any and every need when called upon. As a volunteer, he provides a legacy of community service that is exemplary and for which Cops ‘n’ Kids will always be most appreciative.